More complete — and convenient — than ever! For 2018, we’ve combined two of our popular coding resources into one convenient how-to guide! 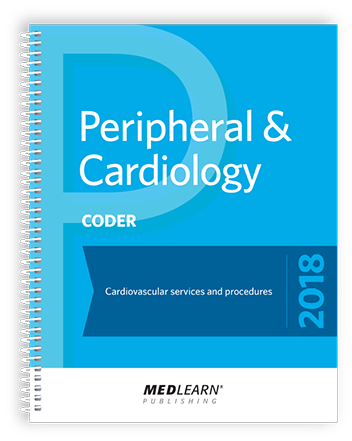 Now you get our Peripheral and Cardiology Coder book integrated with our Diagnostic Cardiology and Pulmonary Coding Guide. And it’s not just about saving you time, because this resource delivers proven instruction and insights from top cardiology experts.